And as was bound to happen because it does every year, the first evening news show of the New Year began with a report straight from the emergency rooms of hospitals in the metropolis... The carnage, they said, was less than last year’s; but who really wants to know? So, just as the news shows do each and every New Year’s Day for more years than I care to remember, the array of firecracker victims was flashed into television sets across the nation, exposed flesh considerately airbrushed away out of respect for people’s sensitivities. It is not as though we have not seen the same scenes before: varying degrees of skin burns, lacerations and, in severe cases, amputations. As has been the trend in recent years, many of the victims were innocent passers-by or bystanders who had nothing to do with any firecrackers at all. Considering the amount of money citizens spend on firecrackers, I suspect every town and municipality – if the citizens pooled their funds – will be able to afford choreographed fireworks displays handled by trained and accredited professionals in areas away from where there is risk to human lives and properties. The Department of Health, one news clip reported, was seriously considering lobbying either for a total firecracker ban or stricter monitoring of firecracker sales. That was as lacking in testicles as I have ever heard government to be. The sin tax bill was passed with hardly the batting of an eyelash, ostensibly to raise funds for government’s health programs and also to discourage citizens from an unhealthy habit. And firecrackers are any healthier? I have yet to hear of a cigarette that exploded in some poor child’s face or became the reason for the amputation of a limb! If government is sincere in taking care of the welfare of citizens, then legislation banning fireworks of any sort except in the hands of professionals should have been passed long ago. That it has not is why we get the same cloying scenes of New Year’s Eve carnage each and every year. Democracy is not merely the rule of the majority. The underlying principle is that the majority decision is used for the good of the state and its citizens. The firecracker issue is something that illustrates this. Because some silly tradition that we inherited from the Chinese dictates that we create noise to scare away evil spirits and bad luck – and hello, it is 2013 – then a good majority of citizens probably even favours firecrackers. This is where government ought to step in even if it goes against the will of the majority. One child mutilated is one child too many; and God knows we get much more than one casualty every year! 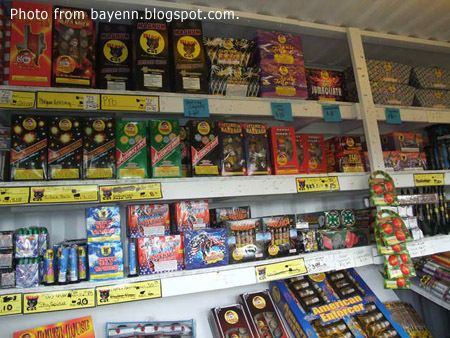 Many will probably argue that everything is in the care with which firecrackers are handled. Alas, Murphy’s Law apart, corollary to our population growth has also been a proportionate rise in the number of idiots in this country. It is not just the idiot who mishandles firecrackers that we fear. There is also the drunken idiot who fires bullets into the air as apparently it has never occurred to him that bullets fall back to earth and can hurt or kill people. As mentioned, many of the victims have nothing to do with firecrackers to begin with! Apart from human casualties, there is also the risk to properties. Go ask the Fire Department! For every person who sincerely believes firecrackers will bring him luck, there is another cursing his own luck because his child’s limb had to be amputated or because his house was burned down. The PNP in Bulacan – or so the news shows reported – diligently monitored the shops to make sure the illegal stuff were not being sold. They were not. Because they were being sold openly in Divisoria – the news shows also reported – where the PNP was not as diligent. It has to be a total ban and all that is needed really is nothing but political will. 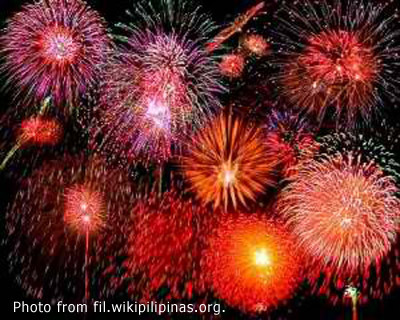 Davao has banned firecrackers for years; and recently, Baguio followed suit. Then everyone can come and enjoy the spectacle without fear that somebody will eventually end up in the E.R. later in the night. Now who, pray tell, in Congress has the testicles to write such a bill?